Epididymis - Amyloid. 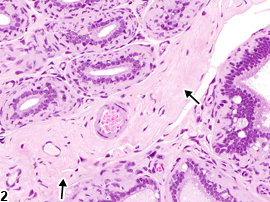 Amyloid deposits in the interstitium (arrows) in a male B6C3F1 mouse from a chronic study. Epididymis - Amyloid. Higher magnification of Figure 1. 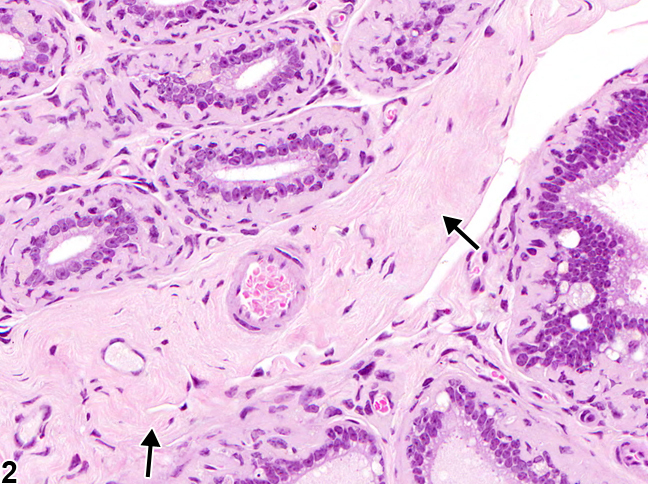 Amyloid deposits in the interstitium (arrows) in a male B6C3F1 mouse from a chronic study. Amyloidosis is an age-related, incidental background finding most commonly seen in mice. 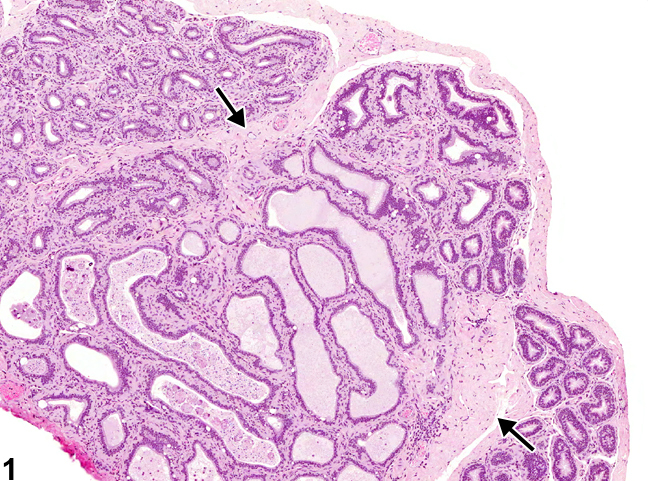 It is generally a systemic condition, but the epididymis is a common site for deposition. It appears as pale, eosinophilic extracellular material that has a green birefringence under polarized light when stained with Congo red. Amyloid should be recorded and graded and should be discussed in the pathology narrative if the incidence and/or severity appear to be related to chemical administration. Associated or secondary lesions need not be diagnosed unless warranted by their severity.